Justin and Libby Denbe have it all; a beautiful daughter; a gorgeous house; a great marriage, admired by all. But now, they have vanished. Arriving at the crime scene their home has become, investigator Tessa Leonidas finds no witnesses, no ransom demands and no motive-just a perfect little family, gone. Tessa knows that flawless fronts can hide the darkest secrets. Now he must race against the clock to uncover the truth. Who would want to kidnap such a family? And how far would they be willing to go? Lisa Gardner knows how to draw you into a good story. Touch &Go tells of a family kidnapping which leads to the family realising just how much distance there is between them. But who would want to kidnap and kill a whole family? Who benefits? Is it an inside job? The twists turns and compelling narrative kept me glued to this book until I turned the final page. If you want to lose yourself in a crime thriller that delivers, cancel the next few days and look no further. 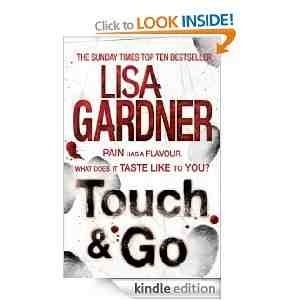 Enjoy reading Lisa Gardner at her best, Touch & Go is the best book I have read from this author and I recommend it highly.